HERNDON, Va. – (February 16, 2017) – DLT Solutions, an award-winning, public sector technology leader, announced today it has been awarded a five-year blanket purchase agreement (BPA) with the Department of Navy (DON) to provide Red Hat software and services. The $133,404,000 agreement includes a one-year base ordering period with four one-year optional ordering periods through December 2021. For best of class ELA management, DON plans to continue to use DLT’s Software Program Center (SPC) which converges the power of the DLT Customer Portal, a dedicated customer-centric team, and a comprehensive Program Lifecycle Management (PLM) methodology customized to meet agency compliance, asset inventory and reporting needs. As the 2015 and 2016 North American Public Sector Partner of the Year, as well as the 2015 Middleware Partner of the Year, DLT is Red Hat’s largest government reseller, providing the full portfolio of Red Hat software, consulting services and training. 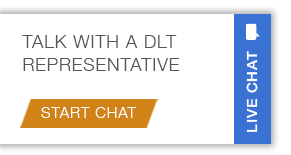 DLT is a leading technology partner to the federal, state and local government, education, utilities and healthcare markets. For more than 25 years, the company’s dedication to helping the public sector make smart technology choices and simplify their technology procurements ensures its customers have the best options for Cybersecurity, Cloud, Application Lifecycle, Digital Design, IT Consolidation and IT Management solutions. The DLT advantage includes strategic partnerships with industry leading and emerging technology companies - including Amazon Web Services, Autodesk, Google, Informatica, Oracle, Quest Software, Red Hat, SolarWinds, Symantec, Veritas, and Veracode - whose products and services can be easily procured through DLT by leveraging its broad portfolio of government IT contracts including, GSA, SEWP V, NIH CIO-CS, and U.S. Communities. To learn more, visit DLT’s Resource Center, call 800.262.4358 or email sales@dlt.com. Also on LinkedIn and Twitter (@DLTSolutions). Red Hat, Red Hat Enterprise Linux and Red Hat Satellite are trademarks or registered trademarks of Red Hat, Inc. or its subsidiaries in the U.S. and other countries. Linux® is the registered trademark of Linus Torvalds in the U.S. and other countries.